When you think of Spain, you might think of delicious paella, lazy days on perfect beaches, or hiking in the mountains, but there’s a whole lot more. Modern cities, pulsating with life, locals who are only too happy to sit and chat, and picturesque villages with a fascinating history. Wherever you go to Spain – one of the most beautiful Schengen countries and whatever you do in Spain, you’re sure to love it from the very first moment. 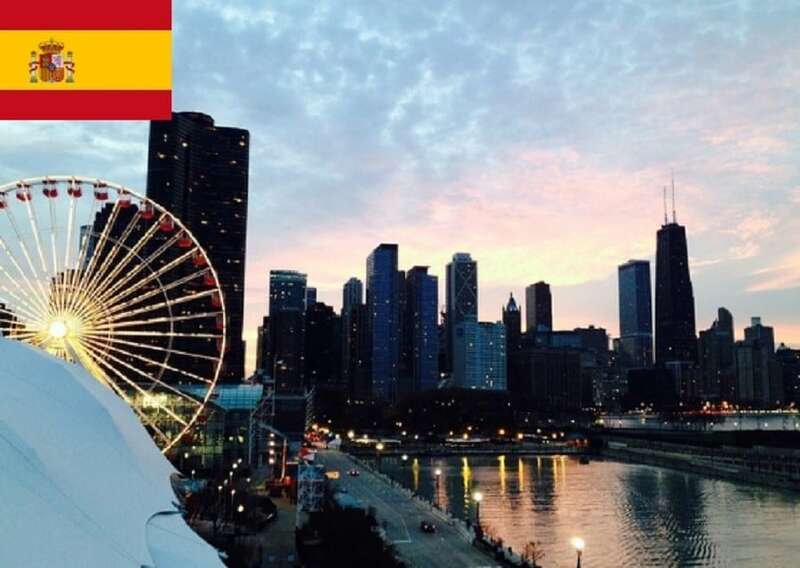 In this article learn more about how to apply for Spain Visa at the Spanish consulate in Chicago, Spanish visa appointment booking, Processing time at the Spanish visa application center and Spain Visa Application Process at the Chicago consulate. In 2017, there were 1,624,276 Spanish Schengen visa applications making it 4th highest after France, Germany, and Italy. 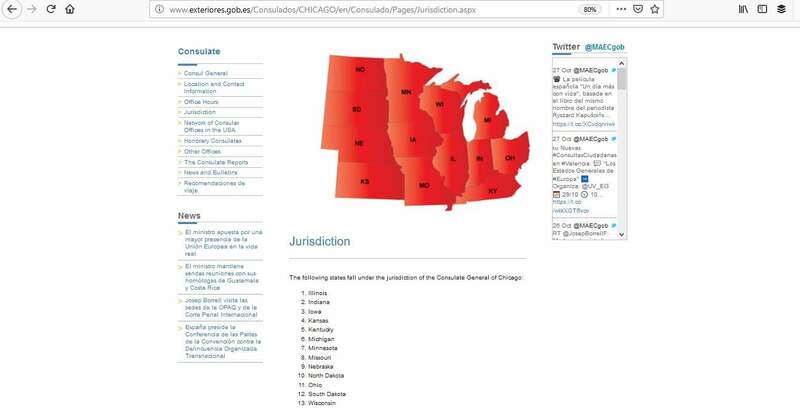 The Consulate General of Spain in Chicago dealt with 1,881 applications, of which 1,856 were issued. Applying for a Spanish Schengen visa from the United States has never been easier. If you are a non-US citizen and permanently living in the US you can apply for this kind of visa. However, if you are in possession of a B1 or B2 visa you can apply to your home country for an Airport Transit visa. Long-term U.S. visas: L1, L2, H1, H2, R1 etc. For trips up to 90 days, you’ll need to apply for a Schengen visa and if you’re planning a longer trip, over 90 days, you’ll need a National visa. 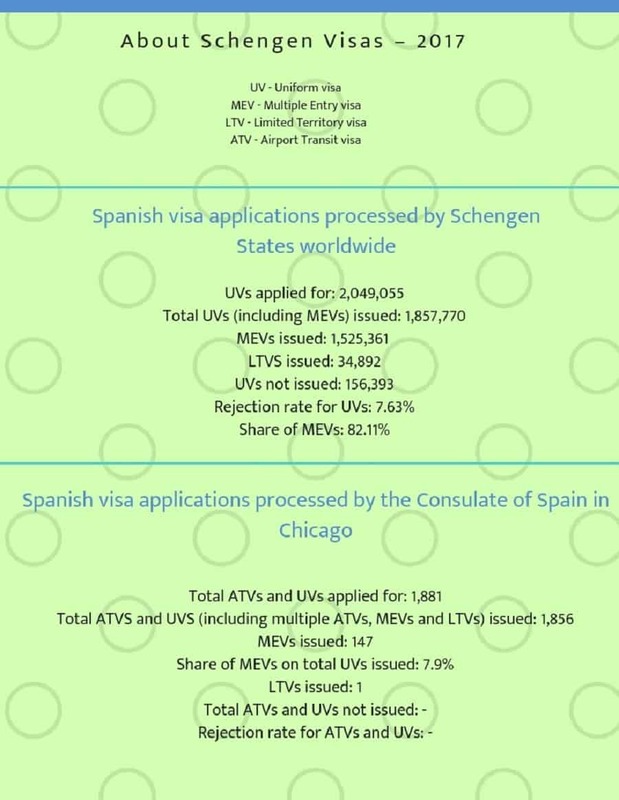 The Spanish consulate in Chicago offers different types of visas depending on your reason for travel. The following visas are available for trips up to 90 days. You must ensure you apply for the right visa depending on your circumstances and why you wish to travel to Spain, so take time to find out before you apply. If you apply for the incorrect one, your application will be refused. The first step is to book your appointment which is free to do, but you can’t do it by email. 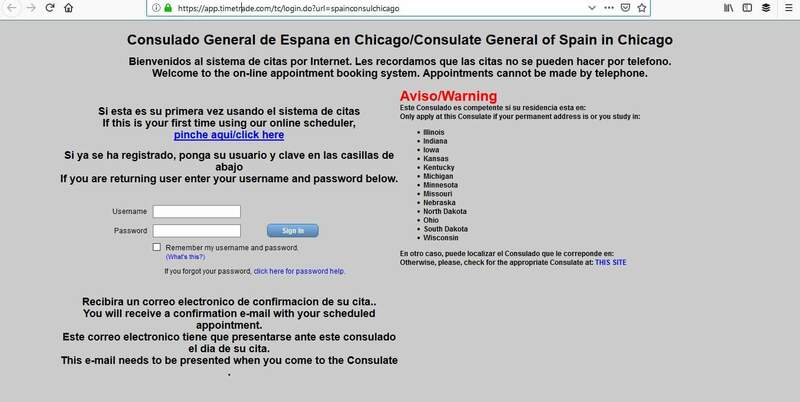 The Consulate of Spain in Chicago have an online system for you to use. 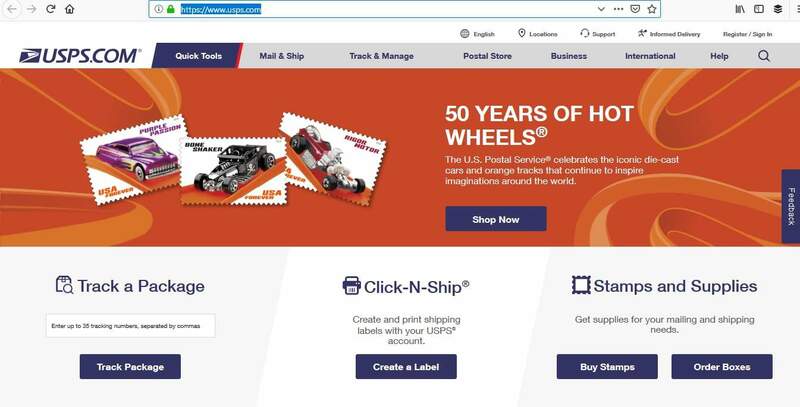 Go to their website and click on the link that will take you to the Bookitit system. You must only book one appointment per person. If you can’t book a convenient time, check the system for cancellations as they do become available. You’ll need to register if it’s your first time using the system, otherwise go ahead and book your appointment. You’ll receive a confirmation email when you’ve booked a suitable day and time. You need to remember to take this to your interview. 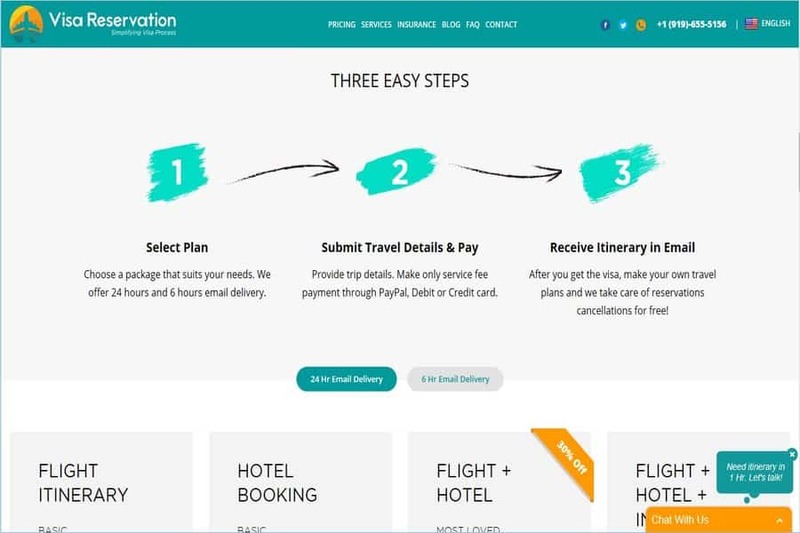 You can apply up to 3 months before your trip. Average processing times are between 2 – 4 weeks. However, these times vary depending on the type of visa you have applied for and it could take anything from 1 – 12 weeks, so bear that in mind when you apply. You don’t want to be in a situation where there isn’t enough time for your visa to be processed. You can find individual processing times on the consulate’s website. On the day of your interview, please arrive on time and preferably with a few minutes to spare. If you are late, you won’t be able to proceed and you’ll need to make a new appointment. Also, it might not seem important, but dressing smartly will convey to the consular official that you are serious about this interview and want to do everything in your power to get your visa. As part of the interview, you may have to provide biometric data which includes a photo and fingerprints. 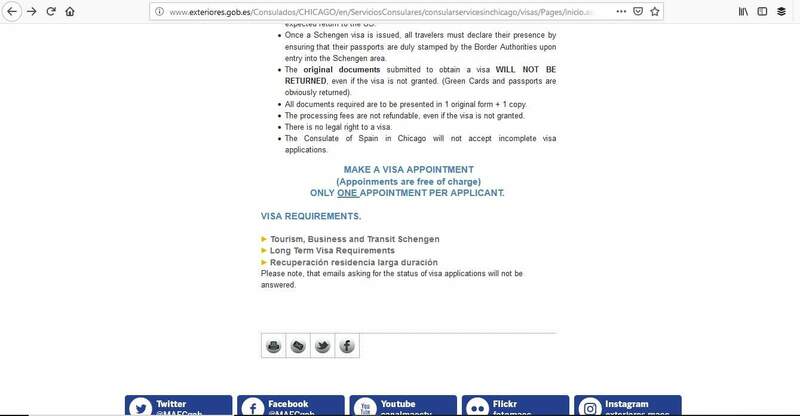 You’ll also need to pay the non-refundable relevant fee for your Schengen visa which can only be paid with a money order payable to the Consulate of Spain. The consular official may ask you questions regarding your application. They simply want to establish your reason for travel, that you are trustworthy, and will return to your place of residence within the valid visa period. The best way to respond is calmly and with sincerity. If you do this, you won’t give the official any reason to doubt you. 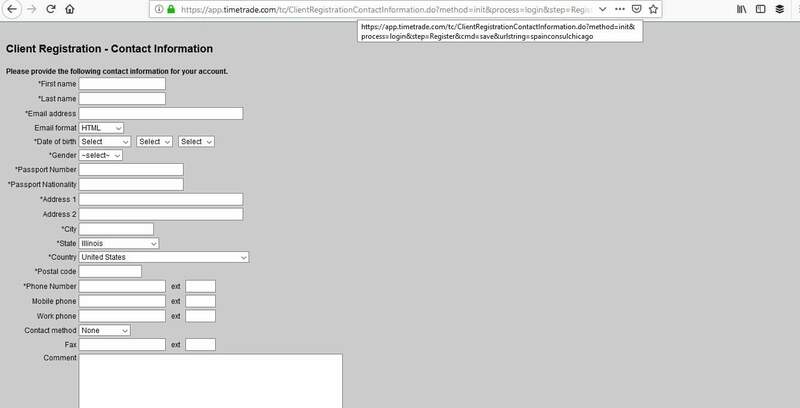 Click on “Acceso por Resguardo” and use your unique reference number to check. If it says “Resuelto” it means your visa is ready and you can go to the Spain consulate from the next working day to collect it. If all goes well, your visa will be attached to your passport, but there could still be reasons why visa may be refused. To avoid these pitfalls, you must ensure that your documentation is all present and correct, it is valid, and signed. In your interview, be consistent in what you say to them and answer honestly. If your visa application is rejected you have the right to appeal the decision within 2 months. 4 easy and straight forward steps. If you follow them exactly it will make the visa application process a little less stressful. With any luck, you’ll have your visa before you know it and you can look forward to your trip to Spain.